What you may not know, however, is just how widespread the use of a growing number of app-based platforms is becoming across the surface transportation industry. 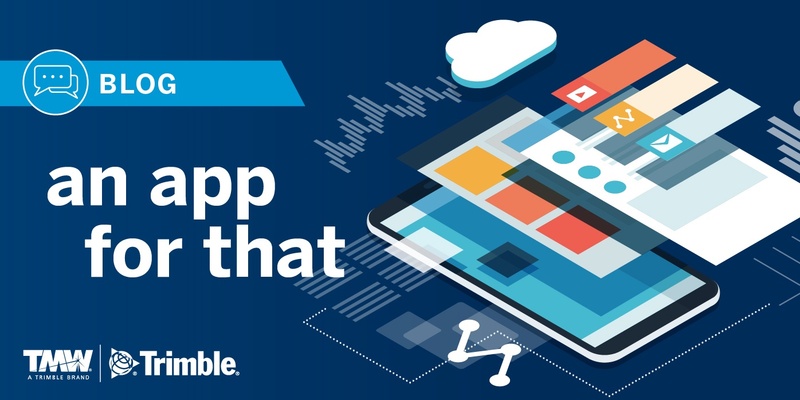 Designed to make it easier and faster to manage a range of business processes, these mobile apps perfectly fit in an industry that is always moving. However, while mobile solutions can lead to cost savings, efficiency, productivity and safety improvements--and in some cases even become a competitive advantage--it can be difficult to figure out which apps provide real benefits. Choosing mobile solutions for your business? Start by checking the landscape. App overload is a distinct possibility, so it's a good idea to research the landscape first. Are you looking for a mobile version of an application you already use on a computer? Are you seeking an app that allows access to a web-based platform? Are you searching for a true mobile app that was designed specifically for a mobile device? The point is this: The term “app” can apply to different things. A better way to avoid any confusion might be to break it down by dividing apps into categories based on how they are used. There's a logistics app for every aspect of your business. For example, there are apps for drivers that can help locate parking, secure directions, check the weather or stay connected to family and friends through social media channels. Then there are apps for managing business needs that handle vehicle and load tracking; communicating about pickups, deliveries or fuel stops; and for processes that involve loads, bills and settlements. There are even apps that let drivers stay connected through onboard communications systems when they are away from their trucks. Finally, there are apps that manage freight, from mobile versions of traditional load boards to more detailed freight-matching solutions that provide rates and information on each load, and can even be for specific market segments such as specialized or hazardous freight, or final-mile loads. There’s also a lot of talk about what some have taken to calling “Uber for trucking” apps. The thinking is simple--if matching passengers with available vehicles works, why not use the same mobile tools and processes to match freight with trucks? The proliferation of mobile devices is generating a steadily rising number of transportation-oriented apps, so many in fact that it can be overwhelming. But leveraging this technology effectively can lead to improved efficiency, productivity and profitability. Contact us for a meaningful conversation on apps that are available for Trimble Transportation products.